Jordan Cunico in action against the Western Bulldogs last year. Geelong’s VFL side has overcome a gallant Collingwood outfit on Friday, defeating the Magpies, 10.11 (71) to 7.12 (54). The final margin didn’t reflect a match which was an even contest from the first bounce. Despite the pristine weather conditions, the first half was not much of a spectacle for the fans at the Holden Centre. Scoring opportunities were scarce and inaccuracy plagued both sides when set shots did arise. The scoring improved for both teams in the second half and the Cats held a slender lead at the final change. In the final term, it was all Geelong as goals to Darcy Fort and Wylie Buzza broke the game open before the Cats ran out 17-point winners. The win is the Cats’ second out of their three practice matches and the gradual on-field improvement has been evident. The players are slowly adapting to the Geelong system and the chemistry between the AFL and VFL listed players is growing each week. The Cats will have one more practice match before round one and Cats coach, Shane O’Bree hopes that chemistry continues to develop. “It’s always a challenge, we are hoping to make that bond between the AFL and VFL alignment and after today we will gain a lot of confidence,” O’Bree said. “There were a lot of VFL guys playing their second or third game and a lot of young AFL boys getting used to the speed of VFL. While the result took a team effort, there were many individual performances that also deserve praise. Jordan Cunico was the Cats’ major ball winner, racking up 30 touches and seven clearances to be amongst the Cats’ best. Quinton Narkle put his hand up for an AFL return with a four-quarter effort, his 28 disposals and a goal saw him named best afield. Lachie Henderson was prolific down back, preventing numerous Collingwood goals while contributing to the Cats’ attack with five rebound 50s. Henderson was amongst the Cats’ best with his 16 touches and eight marks, as was youngster Stefan Okunbor who was rock solid in defence. 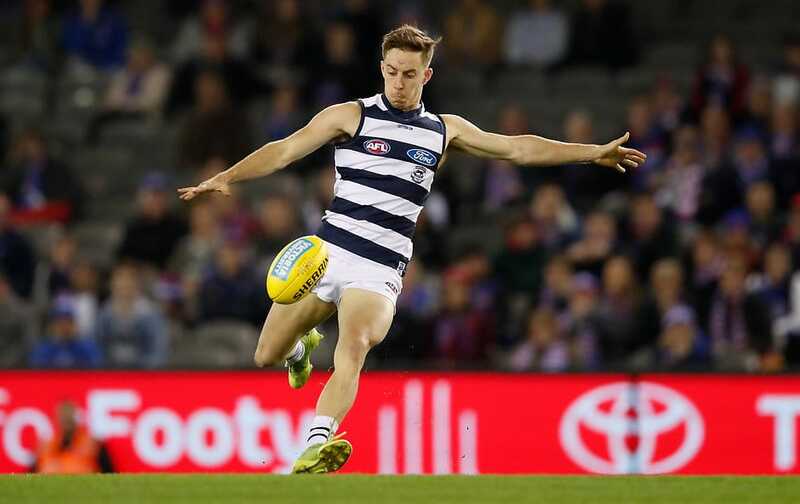 For the second week in a row, the Cats’ talls set the standard as Darcy Fort and Zac Smith made their impact felt around the ground. Fort finished with 16 disposals and three goals while Smith chimed in with 19 hitouts and a goal of his own in his return to football. Jamaine Jones continues to thrive in a new defensive role, finishing with 15 disposals and numerous highlight plays. “Jamaine has only (just started) playing as a defender and he just looks more confident,” O’Bree said. For the VFL contingent, Dan Capiron’s first game as a forward was a catalyst in the win. The former defender presented well and was rewarded with two important goals. The VFL Cats will play one final practice match next Saturday against Casey.